A safari ranger from Chester Zoo is hosting three family-friendly events at Skelmersdale Library. The free Leap for Lemurs workshops will be held at the library, on Southway, from 1pm to 2pm on Tuesday 31 July, Wednesday 1 August and Wednesday 15 August. The interactive sessions will focus on Lemurs and Madagascar and are most suitable for children up to the age of 11. Offering the opportunity to be creative as a family, parents or carers will need to attend the sessions with their child. Although attendance at each of the three events is preferred, it is not essential. County Councillor Peter Buckley, Lancashire County Council’s cabinet member for community and cultural services, said: “I’m delighted that we are hosting these free sessions at the library. They should be fascinating to attend and those taking part will be able to discover many interesting facts, including how Lemurs communicate, how the wonderful Aye-Aye’s find their food and what type of animal a Golden Mantella is. Chester Zoo’s safari ranger service started in 2010 offering free workshops to schools and community groups on an outreach basis. 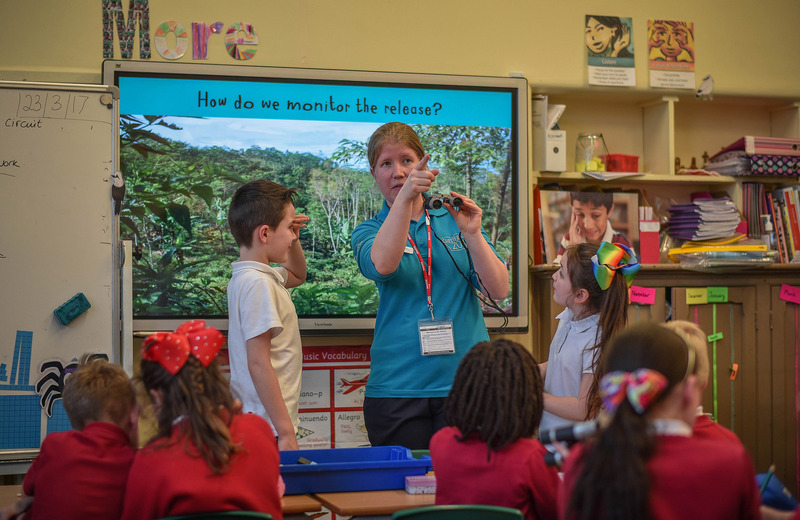 In 2017, the service expanded to have a greater focus on reaching audiences who face barriers to engaging with Chester Zoo, in particular children living in economically deprived areas. Places at the workshops are free but booking is essential. For more information about the sessions, or to book a place, please call in at the library or phone 0300 123 6703.